I work from home a lot. And I mean, a lot. It’s both a privilege – I get to enjoy an extra hour in bed and avoid a lengthy commute – and a pain. Just ask any remote worker and they’ll tell you that sooner or later cabin fever sets in. That’s why it’s great to be able to up root and take yourself and your laptop someplace else to work other than home. You know, a coffee shop, a public or co-working space or anywhere with a free table, coffee and WiFi. And guess what? There’s an iPhone app to help with that too. It’s called WorkSnug. 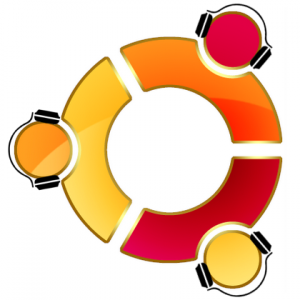 Ubuntu One Music Store – The new iTunes? Canonical are making some interesting moves with respect to making their desktop Linux distribution, Ubuntu, more friendly to mainstream users. They now have a Dropbox like service called Ubuntu One. Of which, the short term goal is to sync users’ files and application settings, via the cloud, across all of their Ubuntu computers. Further to this, it seems that Canonical clearly has aspirations to deliver DRM free music to desktop users. They have already given a vague outline of incorporating an ‘Ubuntu One Music Store’ into their default music player, RhythmBox. An alpha tester, “Popey”, of Ubuntu’s next desktop release, 10.04 “Lucid Lynx”, has already blogged that Canonical are likely to use 7digital as the back-end for this service (link). He has also blogged that RhythmBox has been prepared to both: feature the music store, and look for MP3 tracks stored on users’ UbuntuOne drive (link). The latter means that when a user buys music from the Ubuntu One Music Store, the MP3 files will be available to the user on any of his/her Ubuntu computers. The final tantalising piece of the Puzzle is that another Ubuntu 10.04 alpha tester has reported that it is now possible to view tracks and playlists stored on his non-jailbroken iPhone. 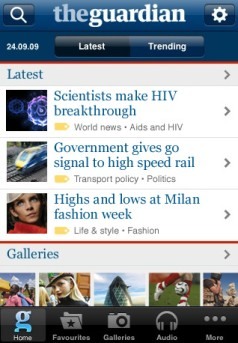 The Guardian newspaper's iPhone app offers off-line mode – mobile Internet's killer feature? The Guardian has released a paid-for iPhone (and iPod touch) app that makes reading the UK newspaper on Apple’s device a truly smartphone experience. Along with features such as the ability to customize the newspaper’s ‘front page’, support for audio, finger-friendly navigation, including ‘swiping’ through photo galleries, the feature that really stands out is off-line browsing. … works in a similar way to music streaming service Spotify’s own iPhone app. Sections of the newspaper can be ‘cached’ in advance to enable access when outside of a WiFi network or mobile signal. As with listening to music, this is particularly appropriate for reading a newspaper on-the-go, such as when commuting on London’s Underground or any other subway for that matter. The app also offers access to the various Guardian podcasts, which can be downloaded in advance or streamed. In case you didn’t hate PowerPoint presentations enough already, here’s another reason. 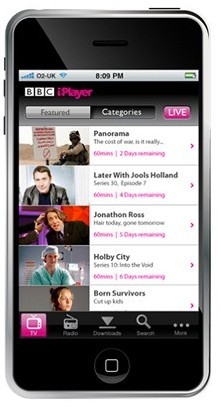 The native iPhone app for iPlayer – the BBC’s TV catchup service – was a mockup. It doesn’t actually exist outside of PowerPoint, reports Macworld UK. So there you have it, no iPlayer app for iPhone – yet. BBC iPlayer downloads coming to iPhone? 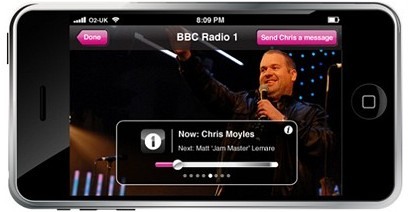 It looks like a proper iPlayer app for the iPhone (and iPod touch) is on its way. 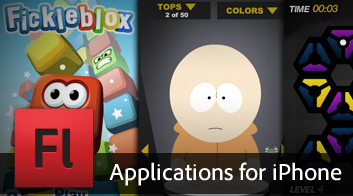 A recent press pack issued by the BBC includes images of a dedicated iPhone app for the TV catchup service. Of most interest is that unlike the current browser-based offering for Apple’s iconic smartphone it appears that the new app will support both streaming and downloads. This was thought to be near-impossible given the iPhone’s lack of support for any ‘standard’ form of copy-protection, a necessary evil given the way the Beeb licenses third-party content, and will bring it in-line with existing versions of iPlayer for Symbian and Windows Mobile. As it stands, when asked to recommend a smartphone I usually try to ascertain if iPlayer support is a priority. If it is, and downloads are in particular (better battery life, off-line playback), I’ll more often than not point them towards a Nokia. Soon that may no longer be the case. 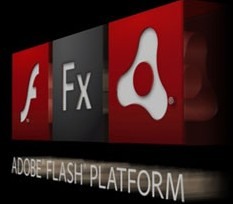 No, Adobe isn’t bringing Flash player support to iPhone. 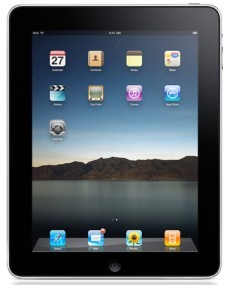 That would require cooperation from Cupertino, something that Apple CEO Steve Jobs is unlikely to sanction. Instead, the upcoming version of the latest Flash developer tools – Adobe Flash Professional CS5 – will offer Flash developers a way to output their finished creations as a native app for iPhone and iPod touch. Since the source code is iPhone OS native, presumably through an Actionscript to Objective-C bridge, the resulting apps should qualify for submission to the iPhone App Store just as they would if they’d been built using Apple’s own development tools. This means that developers can re-factor their Flash creations for the iPhone and iPod touch, with Apple remaining in control of distribution. iPhone UK exclusivity to end, the future's Orange but is it any brighter? 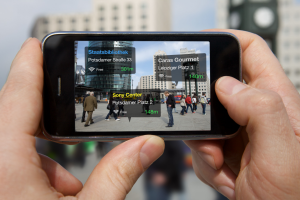 Exclusive handset offerings are certainly good for carriers and are probably good for handset makers too as they help drive up the price during negotiations – presuming there is a demand for said device in the first place. But it’s hard to see how they are ever in the interest of consumers who end up paying more through higher tariffs via the subsidy merry-go-round. That’s because exclusives create a monopoly by any other name. In the case of the iPhone, if you want Apple’s iconic device here in the UK, you have no real choice but to become a customer of O2. Thankfully, that’s set to change with rival carrier Orange announcing that they have partnered with Apple to officially offer the iPhone.